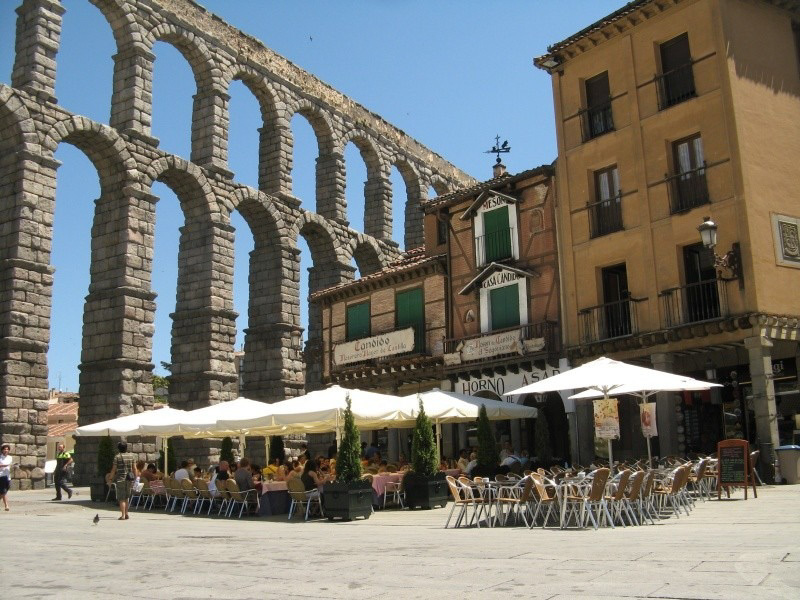 Segovia is a small town located north of Madrid. Like Toledo, fits perfectly for a one day excursion off the capital. The first impression is formed shortly upon the arrival. It is a deserted city. No, that is not. It’s just a siesta time, giving an opportunity to see the dormant city. We walk towards the center with a broad promenade. The paved road turns into a descent granite surface. In front of us the Roman aqueduct emerges. The eight hundred meter long construction was built almost two thousand years ago. It was supposed to deliver water from distant sources located about 15 kilometers from the center of Segovia. The aqueduct was built wit no use of mortar and it still remains in good and solid condition. We go up steps and through a narrow passage we reach a viewpoint. I see the suburbs and remote high mountains on the horizon. In the immediate surroundings of Segovia there is a desert like area with only poor, mostly shrubby vegetation. 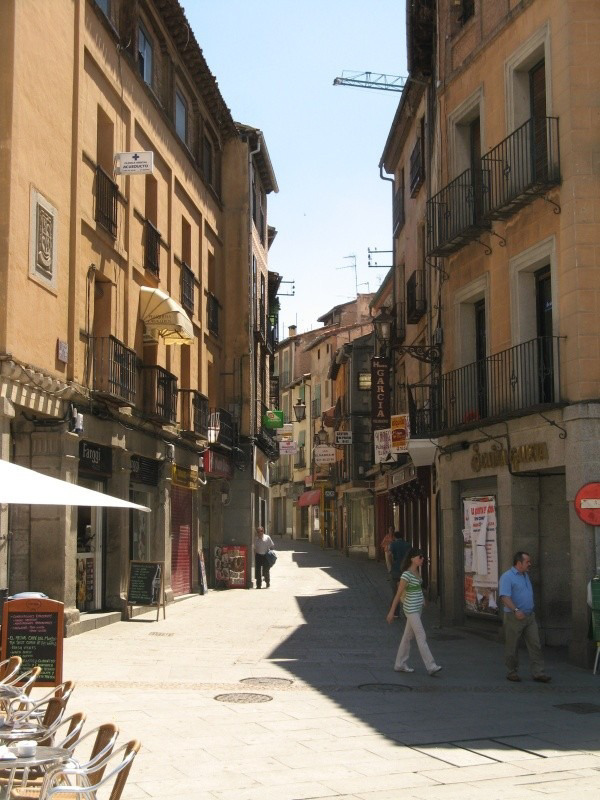 During a period of exceptionally long siesta here we go towards the castle-fortress Alcázar de Segovia. The outline of the castle is quite specific. I have been told that the castle was the original inspiration for a logo used by the Walt Disney productions. It’s hard to say if that is a true information, however there is a certain similarity between the logo and the castle. I stroll castle’s rooms to watch plentiful artifacts from the medieval times. I try to imagine local life here back in the days. We pass through arched gates to access the other part of city. We pass the Gothic cathedral on the Plaza Mayor. It is time to relax. We get to know Mercedez and Eugenie, the two girls from South America. If in Argentina there is more so friendly and nice girls like these two, then the another trip in search of Spanish-speaking adventures should definitely start in Buenos Aires.